Literature is the main all-time gift for a cat lover (or a prospective cat lover). If you doubt if cat literature is really important, then you ought to ask yourself how you managed to read this post even. Luckily, there are thousands of good cat literature out there and you can easily tap one for yourself and a friend even on the internet. Top on this list, is the “Crafting with Cat Hair book” by Kaori Tsutaya. You can have this book from Amazon at a price of just $10! 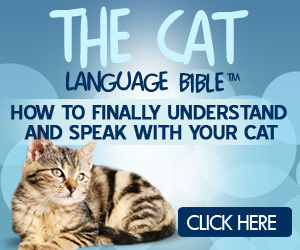 This book will teach you how to play with the cute cat hair and with time you may actually become the “purr cat hair consultant” in your estate. …Sorry, I am just kidding. If you are buying it for a kid, you can try out the “Sorry, I Barfed on Your Bed ” book By Jeremy Greenberg. This too goes for just $10. In addition, you can also download videos and documentaries as well. As cat lovers, we love everything that teaches us on cats. Gift 4: Some cat attire can work magic! There is no doubt about this. If you have checked Amazon lately on recommended cat gifts for cat lovers, close to 80% of their recommendations are purely based on attires. So, they got the cute JJMax feminine socks which goes for $13, the Feline Chiffon scarf that goes for $5 and even the awesome Home-X Cat Print Apron which goes for just $13. Now, this is the best gift for mum and dad if they too love cats. The last time I checked my kitchen, I still was the “Best Cat Dad Ever” since my coffee cap was printed so. There are a couple of other such cups out there like the “Local Woman Named Cat Mother of The Year” both of the two going for just $13. You can as well get a set of gift caps here. If you always carry your cat anytime you get to the house, I am certain you may have gotten irritated by the fur remains on your clotting every time you do so. The pack of Lint Rollers will help you to clear car fur from your clothes and you will be clean always. This pack goes for just $29 only. Are you tired of chasing after your cat every evening? Would you like to tame your house from the entry of those annoying neighborhood cats? The SureFlap doggie is a smart cat dodging exit that identifies your cat and only opens the door for your cat while keeping off all others. This door can also be set to limit even your own cat, let’s say you would like to curfew your cat from going to play with other cats at night, you will only need to change a few setting and your cat till have to figure out a different exit or just remain. The SureFlap mini door goes for a significant $100ish. If you got some bucks to use, please go ahead and get it. It’s worth the cost.